After writing your press release, you can either hire a newswire company to syndicate your story on various sites and locations or pitch your story to a journalist with the hope of landing publicity. Whether you use one or both, there are strategies that will help you boost your press release distribution results. When you distribute releases, you send a story to a single site or different locations. It is an easy way for businesses to get their news out in the public. These services can send your story in numerous news sites like magazines or newspapers. The cost varies depending on the features that you want to avail. What is a newswire service? The service allows reporters and influencers to search for releases that they can cover in their publications. Reporters can subscribe to news feeds or sites to get releases related to their beat. 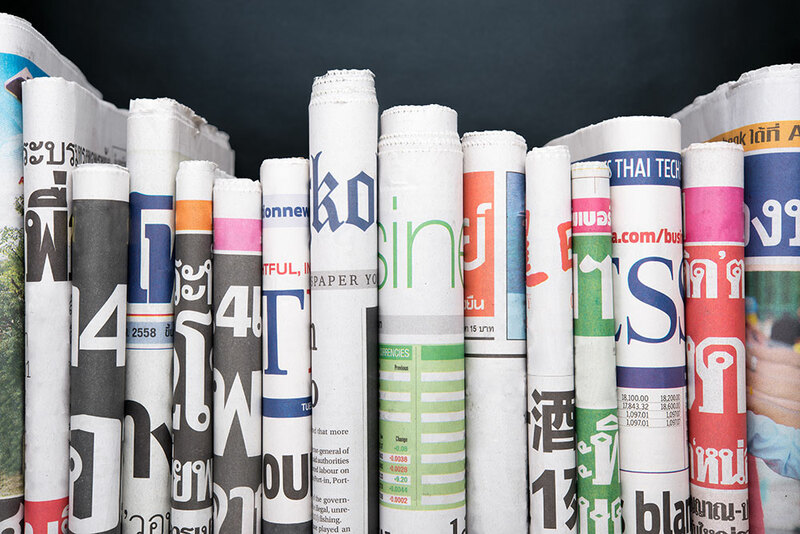 Press release services are useful for reporters to find relevant news stories. If they have a strict deadline, the easiest way to get stories is find something relevant to the story they are working on. A lot of journalists use the service to get updated with the trends, find story and feature ideas. However, the issue is that all journalists subscribed to the service have the same access to the news. Journalists want exclusivity. The more exclusive your story is, the easier for them to cover it. At a certain point, freelance writers lose the chance to cover certain stories as journalists have more access and exposure to news stories. There are also reporters who use the service for reviewing and fact-checking. Stories need to be reported accurately. For them, the easiest way to do this is to check the information of a story syndicated on the newswires. They can be assured that they conform to the standard way of reporting as they may be charged with libel. Reporters can search for quotes of popular personalities on the newswires to verify certain opinion or information. To most reporters, using a service is a real time saver. They can search the stories posted on services to verify certain facts and information. This can be a great advantage for you using press services. Once a journalist uses a story to verify information, they can also use the sources in their story. This means more exposure for your content. If they find your news story relevant and useful, they can choose to cover it. This is why you should always find out how a journalist will have an interest in your story. The more you fit to their standards, the easier for you to gain publicity. When you distribute a release, you should know how to time it right. For instance, when pitching to the press, you need to know what is the most ideal time and day that will increase the chance that your story will be picked up. Reporters pitch stories to editors at a specific time and day. Avoid Mondays and Fridays which are very slow for PR. Tuesdays, Wednesdays, and Thursdays are the most popular days for pitching. You also want to ensure that you pitch stories ahead of sending to press release services. This gives journalists a chance to cover your content before it is released on the wires. #2 Craft an attention-grabbing headline. To boost your distribution result, you need to craft a great headline. It should be newsworthy, relevant and interesting. Journalists pick stories with a well-written headline. It must be short, informative and must grab attention. It should hook the media right away. Otherwise, your story will just be ignored. Aside from the headline, keep the subject line catchy and newsworthy as well as they are the things that journalists first see when they open your email. Avoid buzzwords, industry jargons, and adjectives. It should be succinct and factual. Use keywords in the headline, subhead and the body of the release. Do not use it a lot of times as it can hurt your reputation. Search engines label content and sites as irrelevant on the search results. Keywords help content to become highly visible on the search engines. Use relevant search terms that people use. Don’t forget that journalists and influencers also use them to find the information they are looking for. Avoid keyword stuffing. It is now regarded as a black SEO tactic that can get you penalized. If Google spotted you with this tactic, they would you put you at the bottom or remove you totally from the search engine results. Google is strict with the use of keywords because quality matters than quantity. It prefers offering a better user experience than over optimizing a content. Visuals like images and videos promote the message of your content. Several studies have found that content with visuals or multimedia get more reads and shares. Audiences are more interested in content that help them understand the story better. Visuals help them visualize and connect to the story a lot easier. Moreover, a content with images is highly shareable on social media sites. Include visuals that help paint a picture of the story. With the reader’s limited attention to read lengthy content, having an image or a video help them understand the story without the need to read the entire content. It also makes it easier to scan. If you have data to present, use infographics. This kind of presenting data makes the story a lot easier to understand and interpret. It also makes it interesting and engaging. Infographics use the combination of drawings, diagrams, images, videos and any visual and words. Diagrams, charts, maps and illustrations are used to improve the storytelling. Complicated information becomes easier to interpret. It has been used in reporting poll results, weather, government statistical data and survey outcome. If you have complicated data to tell, an infographic is an effective element that can improve the message of your story. #6 Track your campaign’s success. Tracking the success of your campaign is very important in order for you to adjust anything that affects the result of your campaign. If you are pitching to the media, you need to have your own metrics report that monitors the site visits, potential reach, engagement, conversion rates, sentiment and influence and more. If you are using a release distribution service, make sure to work with a company that can provide you a report from time to time. They need to update you of your release progress by measuring the site traffic, page views and conversion rates. Don’t go on with your campaign without monitoring these metrics. It is like wasting a big amount of your investment because you don’t know if you are reaching your goal. Reports identify the changes at the end of your distribution. One way to amplify the success of your release is to distribute it on social media platforms. If you are hiring a newswire service, make sure that they have a social media sharing button that enables audiences to share it with their followers. When your release is distributed on these platforms, your story can reach potential customers and investors, who may be interested in your offer. This increases the exposure of your story on different sites and locations. For instance, you may share it on Facebook, Instagram, Google + and LinkedIn or tweet it. Share an image or a video and provide a link to where it is published. If you want to boost the result of your campaign, you need to ensure that you are following the correct format of writing a release. Journalists pick stories that follow the correct structure. They are very strict when it comes to how the information is presented. The headline comes first. A subheading can be added, but not necessary. It is followed by the lede paragraph that contains the vital facts of the story. Releases are written following the inverted pyramid of writing. It is inverted because the most important information is presented in the beginning, followed by pertinent details and the least important one. The body includes one to two quotes coming from a top executive of a company or a third-party source. The source person should be able to provide opinions and not facts about the news. It is used to support the validity of the story and provide a human element. The last portion of the release tells who the individual or the company behind the story. The boilerplate, known as the “About Us” statement tells who the company is, including their mission. Usually, companies include small details about their achievement in the statement. The final part of a release is the media contact. It provides information of the person that the media can contact if they are interested in a story. It should include the name and position, email address, mailing address, social media handles, and contact number. All the details should be working and updated. These are just 8 ways how you can boost the result of your campaign. There are more tactics that you can try and may work for your company.